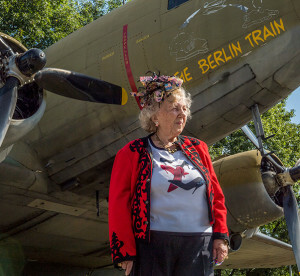 Traute Grier attends the ceremony for the 70th anniversary of the Berlin Airlift, June 26, 2018, in Frankfurt, Germany. 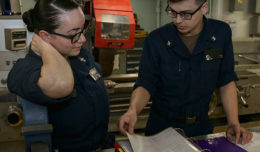 Grier was 14 years old during the beginning of the operation. 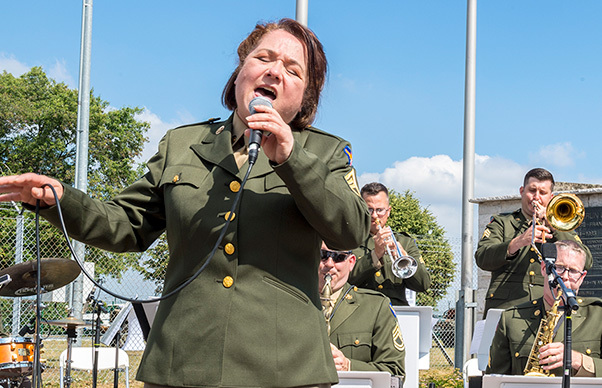 The Berlin Airlift memorial ceremony honored the 70th Anniversary of the beginning of the Berlin Airlift. The event also honored the 101 lives lost from the participating countries. In June of 1948, the United States Air Force, along with the air forces of Britain, France, Australia, New Zealand, and South Africa would undertake a humanitarian mission of a massive scale to bring aid to the city of Berlin. Over the next 15 months, 92 million air miles were flown in over 278 hundred missions, providing much needed supplies to the citizens of Berlin. 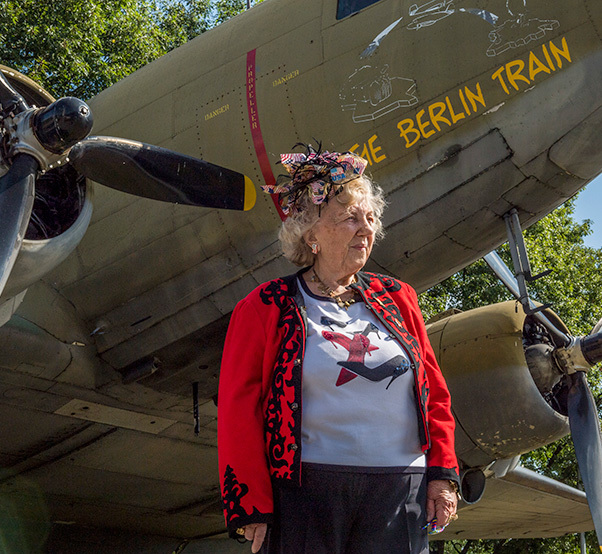 This year marks the 70th anniversary of the beginning of this mission, the Berlin Airlift. Following World War II, Germany was occupied by members of the Allies, divided among The United States, Great Britain, the Union of Soviet Socialist Republics, and France. This occupation eventually led to the Berlin Blockade, and one of the first events of the Cold War. During this monumental undertaking 101 men and women of the participating nations lost their lives. Master Sgt. Michele Harris and members of the United States Air Forces in Europe jazz band performing during the ceremony for the 70th anniversary of the Berlin Airlift, June 26, 2018, in Frankfurt, Germany. 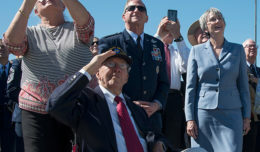 According to Williams, The Berlin Airlift was a monumental challenge for the United States’ newly formed Air Force, setting the standard for modern humanitarian operations. “It didn’t matter as long as you had a place to live, if it was a dog house or in an alley, we were all just trying to survive. It was like God came down from heaven when we got help,” Grier said. Perhaps just as important as the supplies delivered, was the message of hope that came along with it for the citizens of Berlin. “The story of Berlin symbolizes perhaps the most poignant example of how the spirit of liberty can tear down even the mightiest walls of ideological and physical aggression,” Williams said.